Berlin is not only the capital of Germany—it is also the capital of German nightlife. Underground, avant-garde, and progressive—there are many words to describe the club scene in Berlin. From electro and pop, to indie, hip-hop, and rock, you can club in Berlin every night of the week. But before you set off to explore Berlin's clubs, read our guide to Berlin nightlife to find out when to go, what to wear, how to find the best club in Berlin, and get tips on how to actually get in. So go out into the night for an unpretentious, affordable, and unforgettable club experience in the city that really never sleeps. The clubs in Berlin are dead before midnight and only come to life around 2 or 3 a.m. Most clubs don't even open their doors until 11 in the evening. Do as the Berliners do: Prefunk at a bar before hitting the dance floor. There are no fixed closing hours, so you can dance the night away until the sun comes up over Berlin ... it happens sooner than you think. Public transportation (which includes underground, train, tram, buses, and even ferries) continues throughout the night on weekends so there is no need to wrap it up so you can get home. The best time to go (easiest times to get in and still revel in great vibes) is Sunday morning and Sunday night when the party is still going strong. Don't worry too much about dressing up for going out. Most Berlin clubs don't have a dress code. Berliners are relaxed when it comes to style and follow the motto, "anything goes." 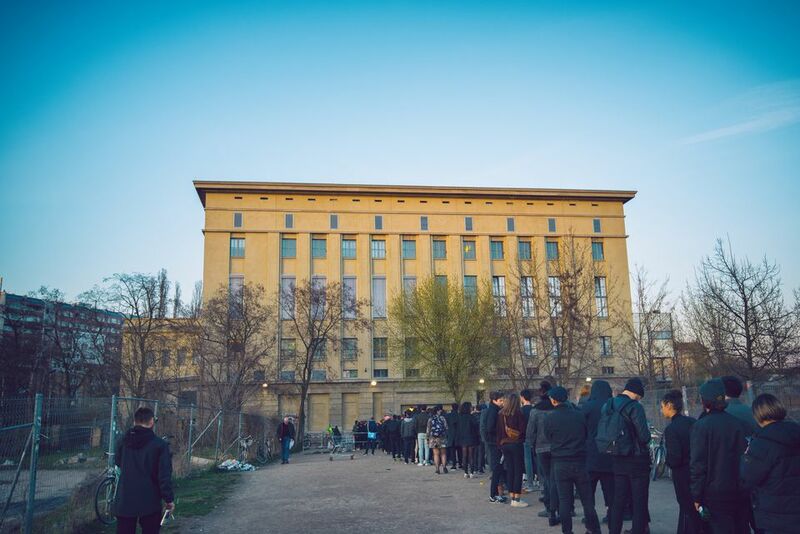 However, some places—like Berghain—are infamously capricious. The best advice is don't try too hard. And black is always a good idea. While some clubs only require standing in line and paying a cover, several Berlin clubs have legendary door policies. While there is no secret recipe to get in everywhere, there are some things you can do to increase your chances. Know who is DJing - Bouncers are rarely impressed with "I just want to dance". Speak some German - Knowing how to respond in the language of the country will give you a better chance. Also, don't talk too much. Stick to answering questions and play it cool. Don't turn up in a huge group - Just like hosting a good party, a bouncer needs to manage the atmosphere of the club and that includes ensuring a good mix of men and women (or more women) and enough stray people to intermingle. Best pairings are 2 girls and a guy or try getting in alone. For example, in response to "How many people are in your party?" tell the bouncer "Ich bin allein" (I am alone). Stand quietly in line - Bouncers often turn away a noisy or drunken group. Stay chill and just wait your turn. Patience is key as waiting for hours at the top clubs at peak times is expected. And please—don't take out your cell phone! How Much Does a Night out Cost? You can have a great night out in Berlin and not break the bank. The cover charge varies from club to club, but will usually only set you back between 8 and 15 Euro. While drinks are generally cheap in Berlin, prices are rising and are the highest at clubs. Beers are usually around 4.50 Euro, and for a cocktail, you'll pay between 7 - 10 Euro. Check out what's happening in Berlin's weekly German magazines called Zitty and Tip, or English language The ExBerliner. You should also look out for the free magazine 030, which offers good club listings and current events. The site, I Heart Berlin, is another fabulous resource with an essential guide on how to behave once you're in the club. The Berlin districts that are famous for their vibrant club scenes are Mitte and Prenzlauer Berg (more high-end) or Friedrichshain and Kreuzberg (more alternative). You've probably heard about the underground clubs and bars in Berlin that spring up from nowhere one weekend and disappear forever the next. The truth is, as the city grows (at astronomical speeds) these parties are becoming rarer. But you can still find these clubs in backyards, old warehouses, and even basements of residential buildings. Often when leaving another club or event, you'll be handed a flyer for these parties. You should also check with the local staff from your hostel and fellow Germans clubbers. Keep your eyes and ears open and your dancing shoes on. After all, part of the adventure is finding the right club.